I will be adding pictures as time permits. The mocs are made from Elk hide with wild boar soles doubled over the elk. 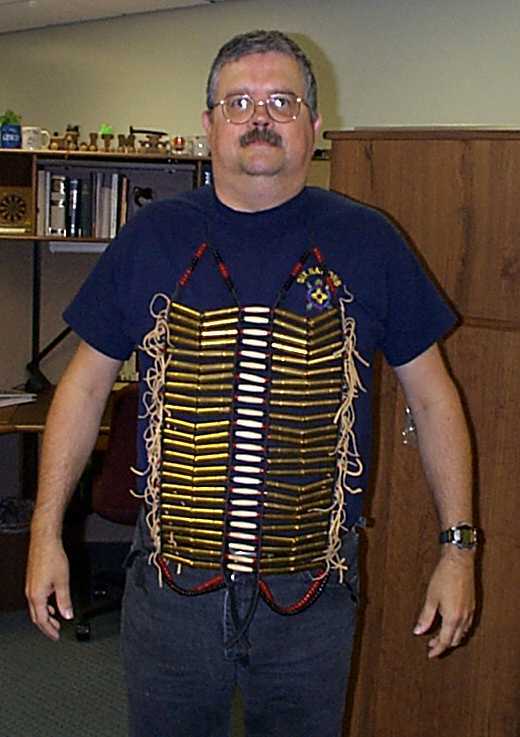 The short mocs are mine and they have 100 brass jingles for dancing. The knee high ones are made for my wife. I will be adding porcupine quill work to my mocs as time permits. My wife's mocs will be beaded by a friend of ours. I grew my hair for two reasons. 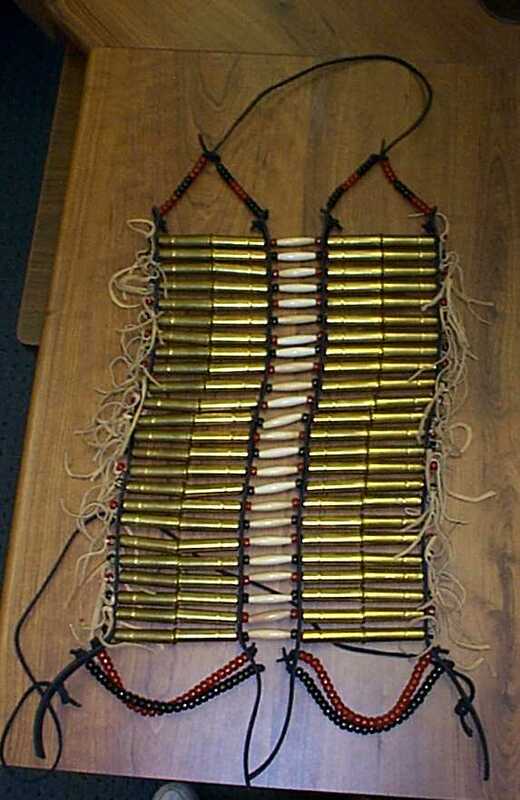 One was to wear it braided at Pow Wows. The second was as a fund raiser. 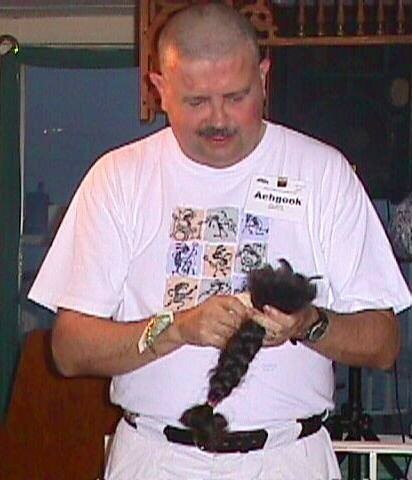 This was me after I had my head shaved. I raised $1000 for the National Graves' Disease Foundation and it was a hoot. 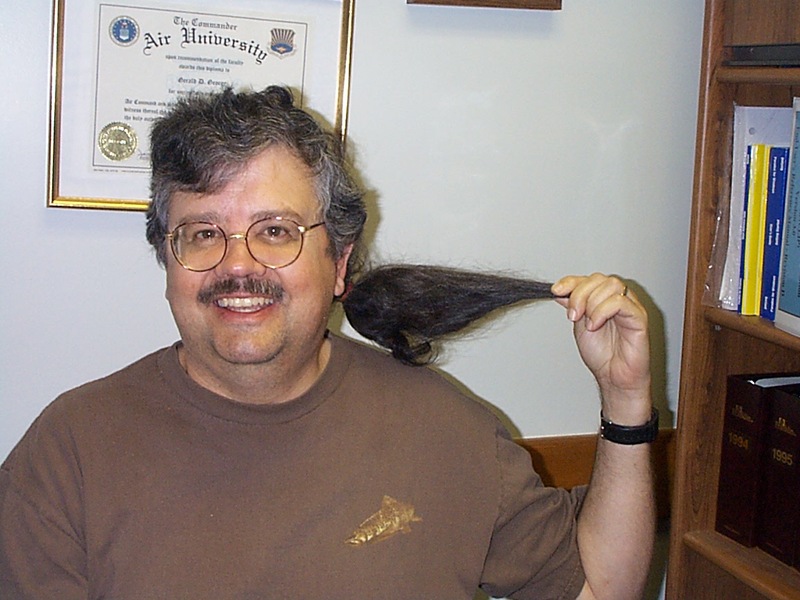 Took me two years to grow my hair long enough to donate it to Wigs for Kids. This is a dance bustle worn on my lower back when I dance. 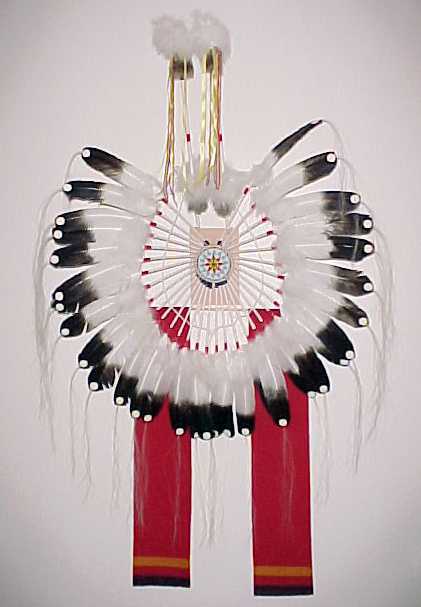 It is made with Eagle (faux) feathers, white horse hair, trade cloth, hawk beads, muskrat fur and beads. It took me about 20 hours to make. 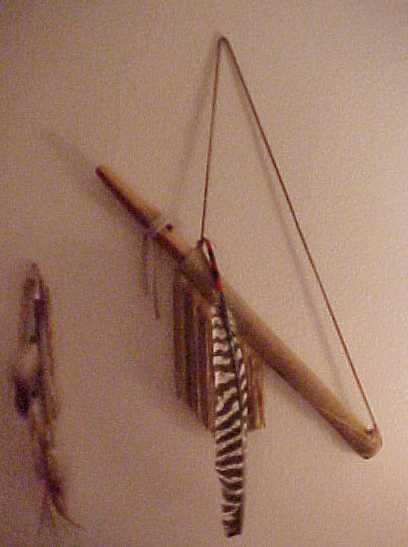 This is a flute bag I made from Deer hide with Wild turky feather. The flute was a gift Jim Gilliland. The wing feather a gift from a 13 year old wild turkey named Rubberhead. This is an autographed photo of Navy Commander John Harrington. The first Native American Astronaut. 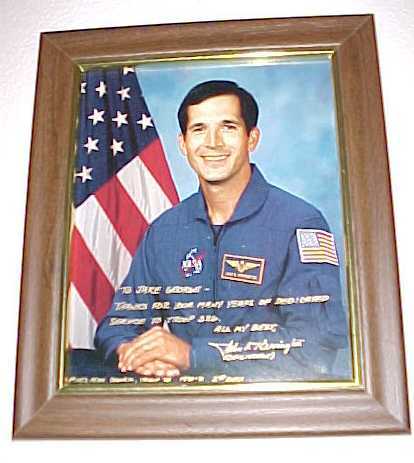 This is the Astronaut that My family and played and danced for that I mention in the book. 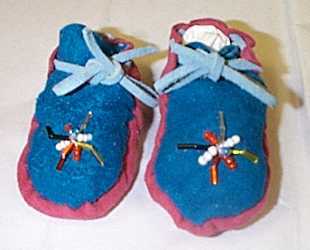 These are some photos of a pair of Baby moccasins I made for our neighbors new baby girl. 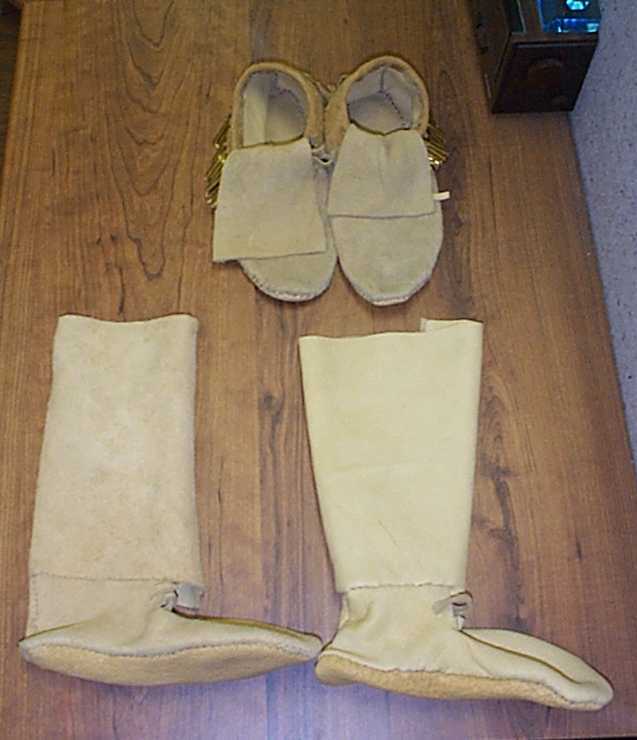 They are deer hide and sewn with sinew. The beading was done by me as well. 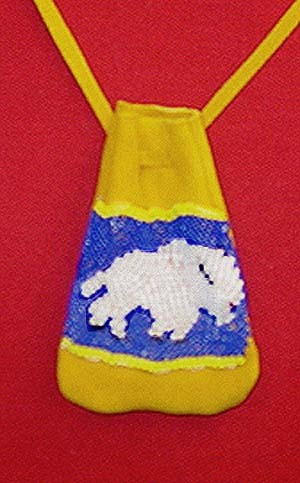 A medicine bag made from Brain tanned deer hide with size 11 seed bead payote stitch beadwork. Copyright © 2001, RLan ent. All Rights Reserved.